Sick and tired of the mess? We're demonstrating our products at a show near you. 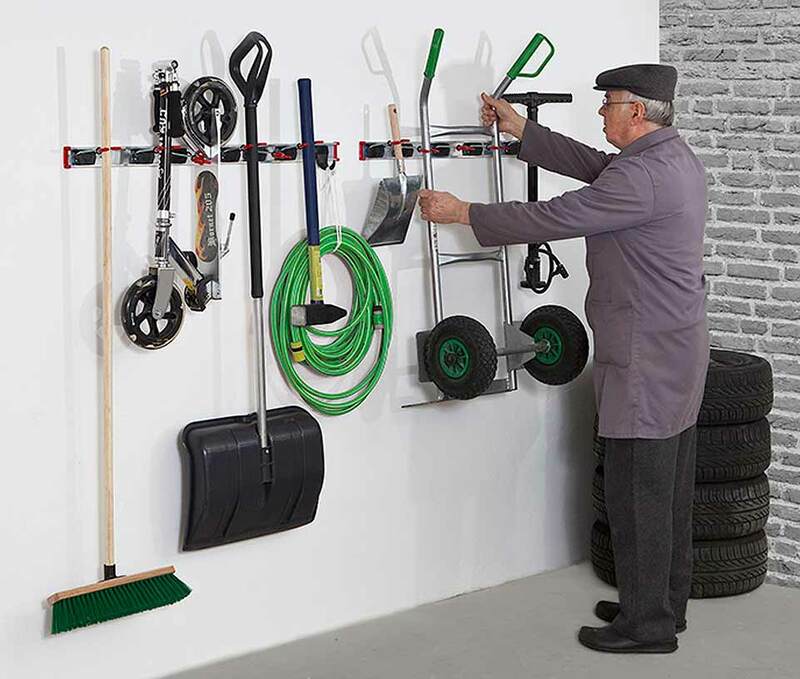 Looking for garage storage ideas? Are you also looking to save some garage space with garage hooks and garage bike storage solutions? The unique Bruns tool holder & tool hook system, designed and constructed from quality materials, is the ultimate tool storage solution. Watch the video on the right to see the Bruns appliance holders in action. Want to see more? Come visit us at a Home and Garden Show or Home Show we are attending near you soon! WANT SPECIAL DISCOUNTS AND EXCLUSIVE OFFERS? Sign up to our newsletter and we’ll keep you posted on special offers, exclusively for our subscribers.